Please select an option Full Queen King California king Twin Please select a Size. This 4-piece set of super-soft 1800 Series Bamboo Fiber Bed Sheets continues to attract customers who seek the best in naturally luxurious linens. 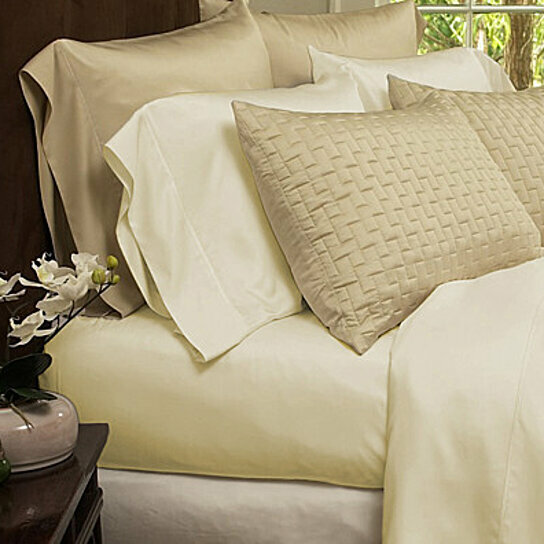 Bamboo sheets keep you warm in winter, and cool in summer due to their inherent thermal-regulating properties. So whether you love the fact that they are softer than 1,000-thread-count Egyptian cotton (yet 1/3 of the cost), or whether you love that they're odor-resistant and good for the environment, you're bound to love these soft, silky sheets night after night!